TT Club, a top international transport, freight and logistics insurance provider, has just released its top five most costly insurance claims made by freight forwarders, logistics operators, container shipping lines, and ports and terminals. Based on the analysis of 7,000 of its claims over $10,000 USD from 2010 to 2014, it found that theft was the number three reason for a claim. “Traffic accidents” and “Handling equipment collisions” took top spots but only by a narrow margin. 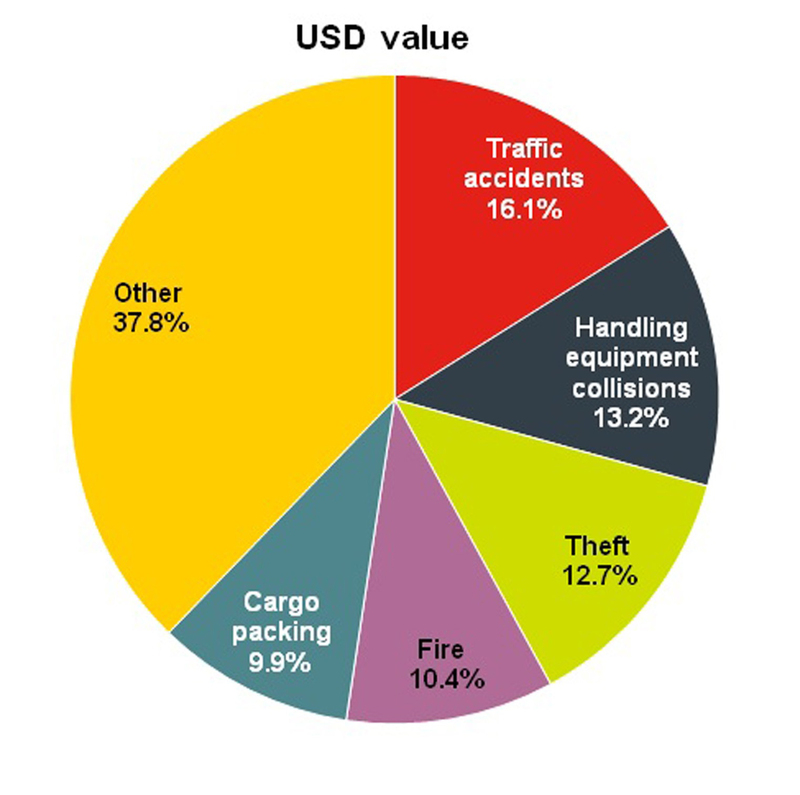 The total value of the TT Club claims over the five year period was approximately $425 million USD of which 12.7% or $54 million USD was attributed to cargo theft. It found that in transit cargo was the most vulnerable part of the supply chain but standard site security proved to be critical to reduce overall theft. FreightWatch International also recently released its most recent numbers around cargo theft. The organization found that cargo theft in the U.S. declined by 20% in the third quarter of 2014 but the loss value increased by 104%. Food/drink was the product type most often stolen and equated to 18% of all thefts. Targeted products were meats, nuts, canned and dry goods. Electronics including televisions, projectors, cell phones and accessories were the second most often stolen product type. In terms of location of cargo theft, FreightWatch International says that unsecured parking made up the greatest number of theft incidents of which 23% took place at truck stops. Theft of trailer/container was the most common event, accounting for 85% of all thefts. The average loss value across all products for the third quarter was $321,521 USD but average pharmaceuticals, electronics, alcohol/tobacco and personal care product thefts were in some cases significantly higher. Finally, the level of sophistication of thefts is also on the rise. Some regions are starting to see multiple trailers being stolen at once. In an article in Transport Topics about the increase in thefts in Arkansas, FreightWatch International recommended a layered security program which includes covert GPS tracking and active monitoring to ensure proper security protocols are being followed and to aid in the recovery process. 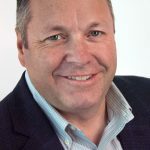 I agree with this assessment and would add that investing in a GPS tracking and asset management solution can also offer many operational benefits. I invite you to download our latest white paper to learn what our customers are doing with their asset management solutions, in addition to reducing theft. Will you be attending the Truckload Carrier’s Association (TCA) annual convention in Kissimmee, Florida next week? If you are, let’s schedule a meeting to discuss how cargo theft and other challenges are affecting you.